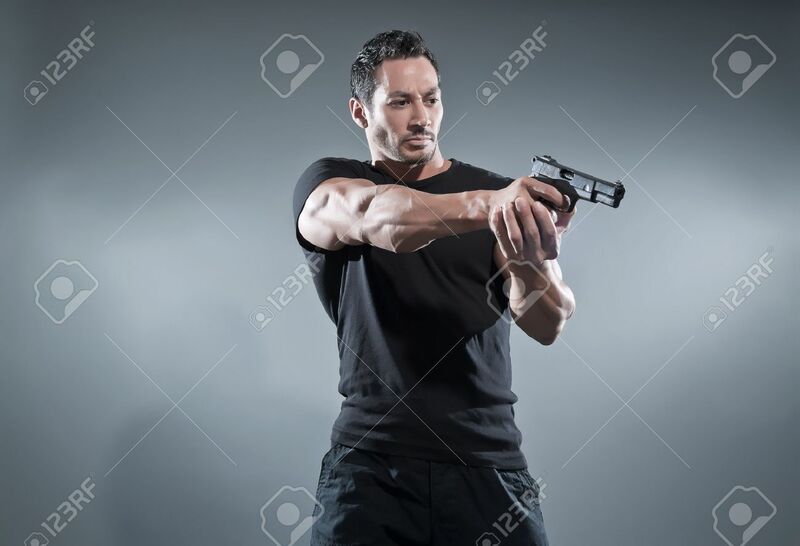 Action Hero Muscled Man Shooting With Gun. Wearing Black T-shirt.. Stock Photo, Picture And Royalty Free Image. Image 28895435.